Kevin Hanson received an Associate of Arts from Northern Oklahoma College, a Bachelor of Arts from Northwestern Oklahoma State University, and a Masters of Music from Boston University. He also holds a Professional Master’s Certification in Arranging and Orchestration from Berklee College of Music. After teaching a number of years, he attended the Armed Forces School of music and subsequently performed with the United States Army Bands for nine years all over the world. He last served as an NCO conductor and Staff Band Arranger for the United States Army Japan Band. 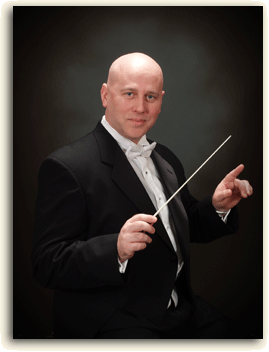 He is the founder and former conductor of the Newark Symphonic Winds; a successful Tri-City Symphonic Wind Ensemble in the San Francisco Bay Area. Throughout the years, he has also remained active working with various church and community musical groups, and as a clinician/ adjudicator. His career in education has spanned over 30 years and three states, working in Oklahoma, Pennsylvania, California, and overseas with the Department of Defense schools where he built successful and award-winning programs.